Mr. 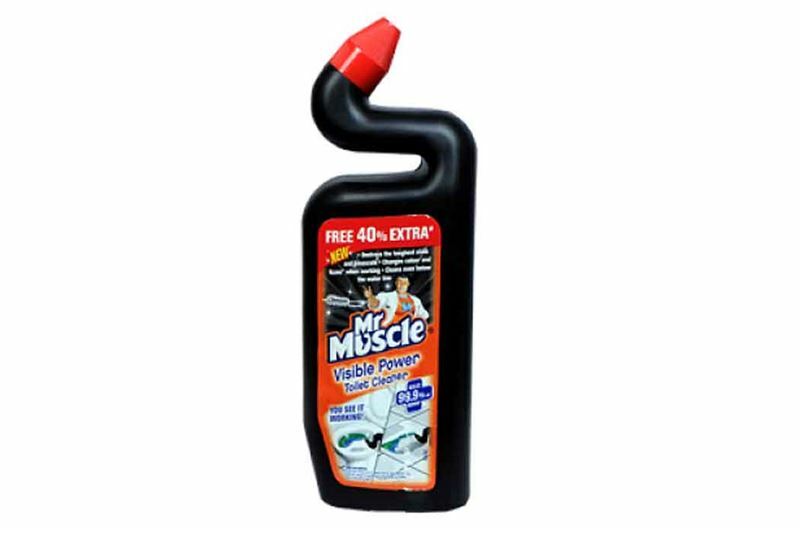 Muscle visible power toilet cleaner has been formulated strongly to clean the toughest stains and eliminates lime scale from your toilet bowl, thus creates it look clear and clean. Its formula kills germs, demolish toughest stains. Use mr. Muscle visible power toilet cleaner to experience the visibility of hygiene on your toilet bowl.